Member Recognition: 04th June – 11th June! 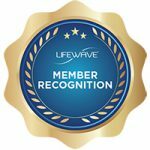 LifeWave from June 04th – June 11th! Tired When You Wake Up? We Have The Answer! Have you tried our Silent Nights Patches for a better night’s sleep? We all require sleep, some more than others but researchers at Harvard University have found that most people are sleeping less than 6 hours every night. This is below the recommended 8 hours for adults and 10+ hours for children. So, what happens if you don’t get enough sleep, does it really matter? Research has shown lack of sleep is responsible for weight gain, development of certain diseases including hypertension and even cancer. It has been proven that, people who get enough sleep perform better in tasks at work and in school. Even though we all now know the significance of getting enough sleep, some of us still find it difficult to get enough. This is why we have developed our Silent Nights Patches, these wonderful patches have been proven to increase sleep by a whopping 66%! With our 30 Day 100% money back guarantee, what are you waiting for? Get yours today! Data security is priority and to make sure you keep your information safe online make sure you are using a secure password to protect all of your social media accounts. Life begins outside of your comfort zone, for many of us the challenge of motivating ourselves and others around us can be more difficult than we initially imagine. Not to worry though, by following some simple steps you can remain motivated and motivate others around you! Focusing on putting your energy into the things that really matter can help you become more motivated! Focus on the positive things, don’t compare yourself to anyone else. Being sensitive with ourselves gives us the strength to face obstacles and overcome fears. Using your social circle as a means of support can help to keep sight of your goals, it is fundamental to having your supportive network there to help when times get tough. Reassuring ourselves that we are on the right track and breaking down our goals can simplify how we look at our path to meeting our goals. An excellent platform to listen to inspiring business people talk is TED Talks – you can find years of archives in almost every category imaginable. Start off at motivation, keep going forward on determination, cross the bridge over perspiration and you will arrive at your destination!